The Valley Youth Center is safe & secure. After your child arrives, the doors are locked behind them and the facility is secured. No one is allowed in or out without appropriate identification. During off hours, the center is alarmed and secured by Nationwide Alarm Company. 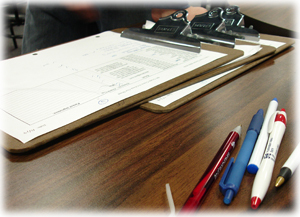 Each child is checked in when they arrive at the Center and checked out by a parent at pick up time. You must come in and physically check out your child. If your child is being picked up by another parent or relative they will be asked to show identification and a note must be sent in. We will also need to receive a phone call from you stating that your child is allowed to go with another parent and child. The safety of your child is our #1 concern. All students entering the Center are required to sign in, allowing us to keep track of who is in the Center. All students using the center have a file containing information pertinent to their security, including allergies, emergency phone numbers, and other information. Children must be signed out in order to leave the center by an authorized adult, and entrances and exists are monitored at all times by VYC staff. On-Site Board Members undergo criminal background checks, CPR training, and First Aid certification. Many Board Members are also teachers or certified parent educators within the community.